The 2008 $1 Mintmark coin embodies the elements of the original Coat of Arms granted in 1908 by HRH King Edward VII, seven years after federation. 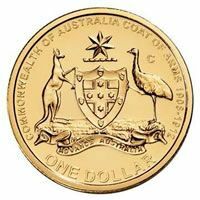 The coin design depicts the kangaroo and emu supporting the shield with pride. Some say these animals were chosen to symbolise a nation moving forward, based on the common belief that neither animal can move backwards easily. The shield displays the cross of St.George. Above the shield is a seven-pointed star, six of the points represent each of the States of the Commonwealth, the seventh point represents the Commonwealth Territories. 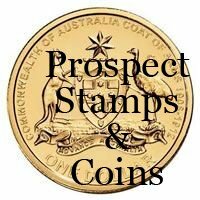 The coin is stored in a stylish presentation card.